Sony’s first handheld, the PSP started off slow – but eventually went on to become quite a popular little thing. First released in Japan in 2004, it broke new ground by allowing gamers to download digital copies of games to the handheld. Later on in its life cycle, a wholly digital version – the ill-fated PSP-Go – was released. It may soon become completely obsolete. Sony’s killing the PSP’s digital store in Europe and Asia. If you’re one of the people still rocking a PSP, you have until September 15 to download games from your device. Of course, you’ll still be able to log in to your PC to buy PSP games from Sony’s Online Network store and send it to a queue for your PSP, or buy and download PSP games from your PS3 and copy them across. IT’s not a huge issue, or much of hassle – but it’s an extra step to getting games on your PSP. I got a PSP soon after the Japanese launch – and I loved the thing. It introduced me to Lumines – which is still one of my favourite games. I ended up hacking the hell out of it and using it mostly as a portable NES and SNES emulator though. 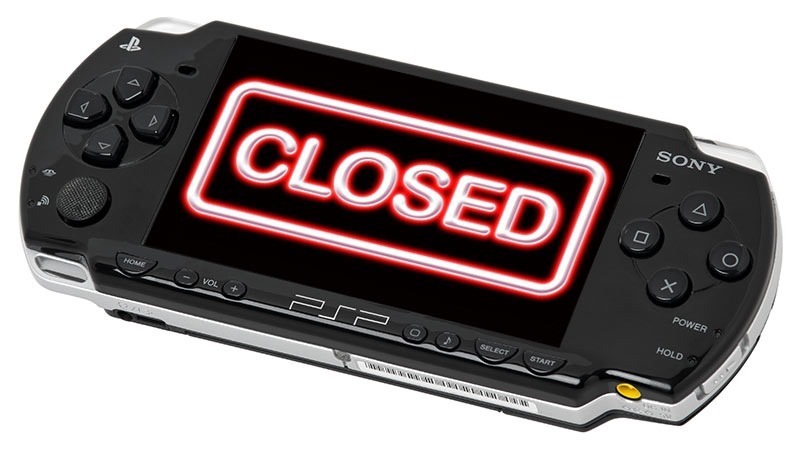 I can’t say I’ll miss the PSP’s store… as I’ll probably never turn the thing on ever again. That’s if I can even find it. Still, I have some good memories of the PSP; it was the last place I played a proper Mega Man game, for example’ the excellent remakes Mega Man Powered Up and Maverick Hunter X. The move is to help Sony focus more on the Vita – which hasn’t had a measure of the PSP’s success so far. Did you have a PSP? Play any notable or worthwhile games?